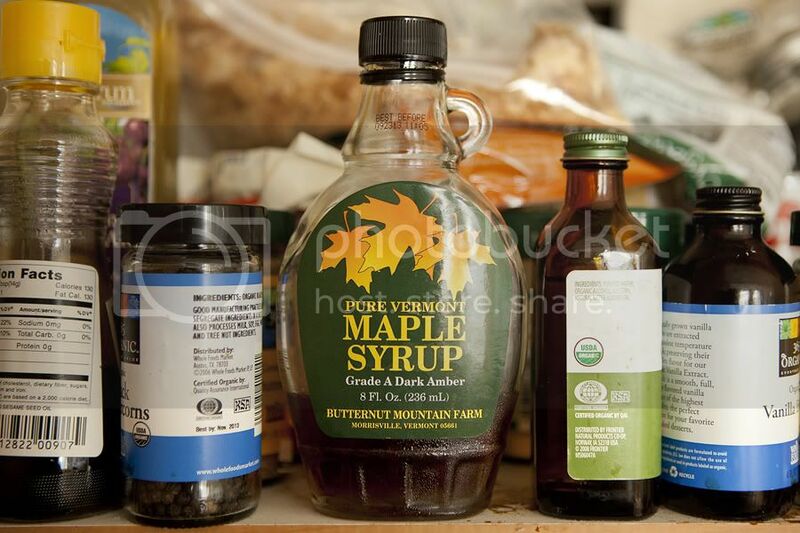 Maple syrup is a totally underused ingredient, if you ask me. Most of you probably have a bottle of it laying around in your fridge that you pull out on the odd Sunday every few months when you've managed to pull together a batch of pancakes to enjoy over the weekend papers. And while this is a perfectly delicious way to utilize the stuff, there's so much more that can be done with it. A lot of people love it because, much like agave, it's a natural, healthier option (as opposed to sugar) when you need to sweeten something. And while I completely agree on that point, I love it because it just makes certain things taste amazing. Par exemple: It can be a gentler alternative to sugar when baking, it can be used to make homemade turkey sausage patties for breakfast a la Gwyneth Paltrow/GOOP, and--my personal favorite--it can be included as part of a killer salad dressing. Recipe below. In a small bowl, whisk together the shallot, mustard, maple syrup and vinegar. Slowly whisk in the olive oil and season the dressing to taste with salt and pepper. Drizzle over your choice of greens and serve.